I suppose I never truly realized how little choice we have individually with respect to selecting the drugs and treatments we as Americans pursue for own health. This never personally impacted me until the diagnosis of my two year old daughter with an inoperable and terminal brain tumor known as DIPG. Imagine for a minute that you are sitting in a cramped room with a social worker and an oncologist who is quickly and impatiently advising you that your two year old has terminal brain cancer. Sitting less than twenty feet from you watching her favorite shows is your daughter in a hospital bed. You have no understanding of what a clinical trial is or how to participate. You have no understanding of how to select a treatment. You are left bewildered, reeling and devastated. As time went by during my daughter Alexis’ long thirty-three month battle, we found out that her tumor was growing. As we scrambled to once again research the available treatment options and review clinical trial data, we found ourselves in Manhattan seeking to gain enrollment for Alexis in what looked to be a potentially promising trial. Following a complete day of blood tests, physicals and the review of a recent MRI scan, we were told that Alexis was ineligible for the specific drug due to what one doctor interpreted on her MRI. The news that Alexis could not participate in this trial did not sit well with us and we explored options to obtain the drug. What we found was a difficult set of regulatory and practical obstacles that would have taken months at best to potentially overcome. As we quickly shifted gears yet again, we were able to locate a single opening in a clinical trial at CHOP in Philadelphia. Ultimately, this drug proved of no benefit after little over a month and we were left to fight to try another treatment. I use this story to illustrate the desperate nature of trying to save a loved one with a terminal or life threatening disease or illness. We were willing to try anything if we believed that it had little possibility of negatively impacting Alexis’ overall quality of life at each given stage, and if we thought it would have some efficacy. As it stands, the regulatory scheme and legislative framework created by the FDA and congress preclude individuals and families from making conscious choices in the selection and use of drugs for serious and life threatening illnesses. Although there are certain measures in place such as compassionate use, in reality and practice they provide little to no real life access to treatments outside of trials or previously approved FDA drugs. There is however a simple and effective solution that would change this entire quagmire that seals the fate of so many millions of Americans on a yearly basis. That solution is the Patient Choice Act. I personally believe this is one of the most critical pieces of legislation that will be presented before congress this year for the childhood cancer community and beyond. Initially introduced during last congress in 2012 it did not proceed any further. It is set to be reintroduced again shortly. 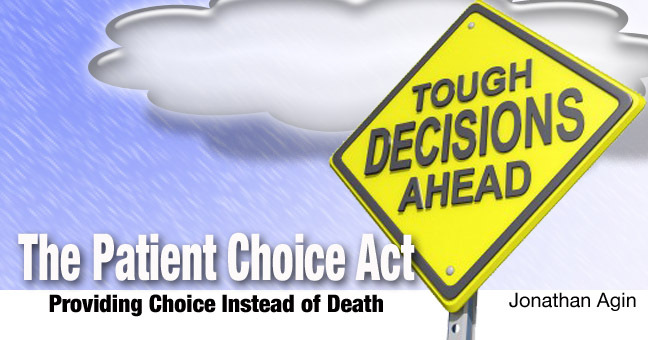 The Patient Choice Act is quite simple in reality and has numerous immediate benefits. As a patient or family facing a life threatening or terminal illness, you would have the ability to obtain drugs that have already been in phase I and II trials with established safety profiles. These are drugs or treatments that are currently being investigated for potential full approval by the FDA. This provisional approval for the drug or treatment would allow additional data to be gathered as well as allow individuals to take complete responsibility for the selection of a drug or treatment. Through strongly written consent forms, the patient or family would be counseled regarding the risks associated with utilizing a drug or treatment that is currently in clinical trial testing phases and not fully approved. Of course the patient or family remains ultimately responsible for the cost associated with utilizing the drug if insurance provides no coverage. The benefit to industry, i.e., the pharmaceutical company, biotech firm or drug manufacturer is quite clear. Instead of struggling to complete a full approval that may take ten to twelve years, as well as funding the astronomical amount of money it takes to bring a drug to market, the sponsoring company would be able to immediately access a funding source for the drug, which ultimately would have the effect of lowering the amount that needs to be expended to bring the drug beyond the trials and to the market. The drug sponsor still needs to complete full approval steps before the FDA even though the drug is provisionally approved. Our current system has the effect of pushing smaller biotech companies and drug manufactures either completely out of business or out of this country with a loss of significant tax revenue and jobs. In addition, millions of Americans continue to die without potential treatments or cures. In the end, it is about choice and freedom to be able to take control of your own individual treatment. This may all be a little bit of an oversimplification, but in the end, it is not much more complicated than this. Rewind back to our efforts to save Alexis. We will never know whether the drugs we were not afforded access to could have helped Alexis. 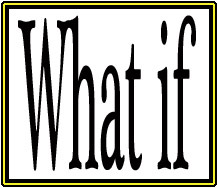 This is a heavy burden shouldered in two simple words, “what if.” This piece of legislation is simply about creating an alternative access stream to drugs and treatments for people with little to no hope. It is about creating hope in and of itself in a society that preaches taking control of our own destinies and personal accountability. Before this bill is reintroduced again, I would urge everyone to call, write or email their congressperson and strongly ask that they act as a co-sponsor. At the end of the day, it is about the choices we as Americans expect. 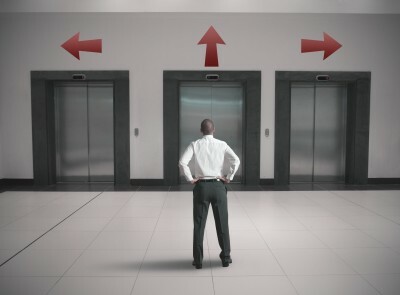 The choice is and should be yours. We need more than just Research by Beth Anne Baber A story of similar conclusions derived from professional and personal experiences. This entry was posted in Cancer, Childhood Cancer, Pediatric Cancer, Rare Disease, Uncategorized and tagged HR: 2090, Jonathan Agin, Josh Hardy. Bookmark the permalink.